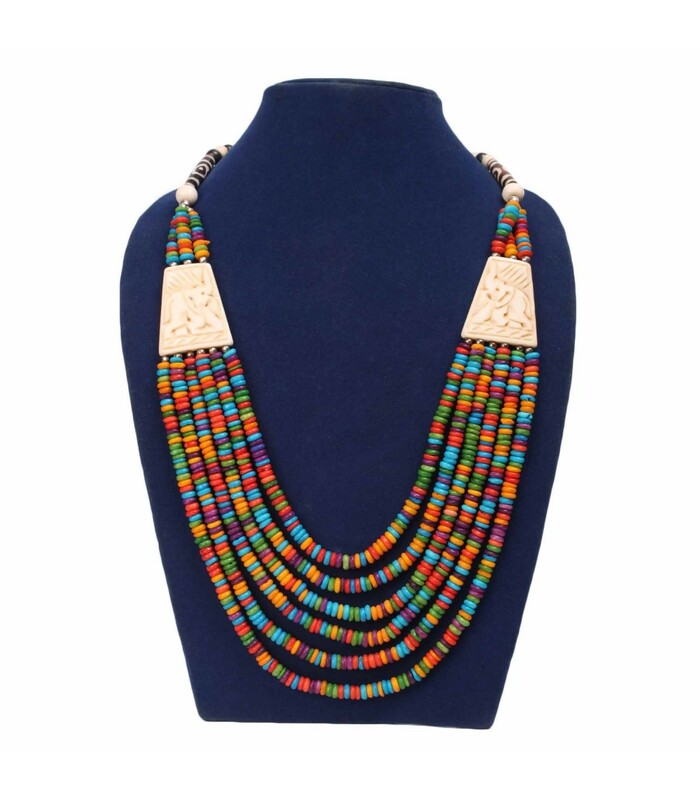 Contemporary Tibetan and African fusion layered necklace. 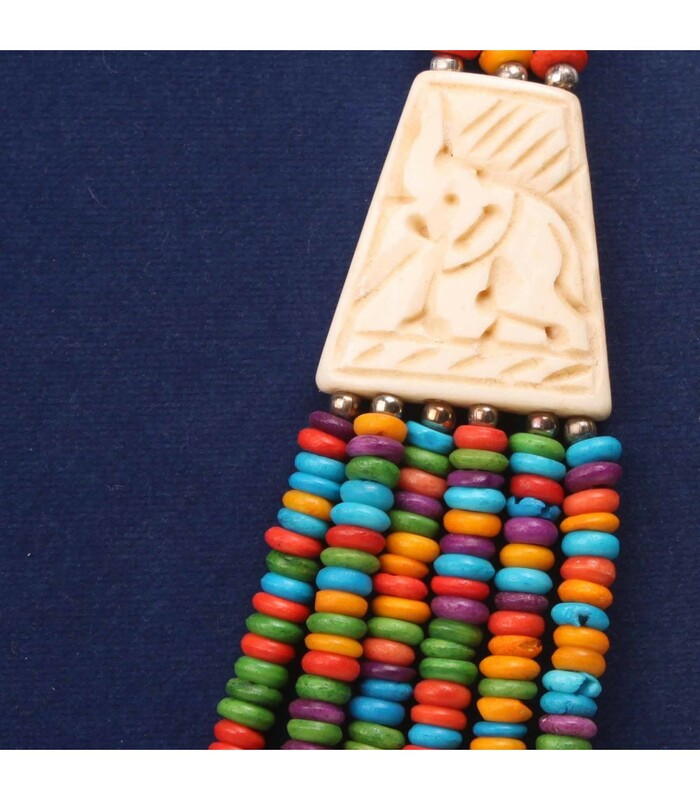 Colourful layers of bone bead attached on flat white elephant carved bone. It measures approx 26 inches in length.